Refugees, Labour leader Jeremy Corbyn and Queen Elizabeth II are the subjects of this week’s podcast as John joins again Jazza and Jimmy for more mildly informed and moderately offensive political discussion. Following on from Saturday’s Solidarity with Refugees march in London, the Right Dishonourable discuss our thoughts on the emerging refugee crisis in Europe and Britain’s response to it. We then turn their attention to the revolution in the Labour party as Jeremy Corbyn wins the leadership, Tom Watson the deputy leadership and Sadiq Khan the ticket to run for London mayor. Rounding off, we discuss Lizzie Windsor’s impressive ability to remain alive in the most advanced age of medicine in human history, as well as why Jimmy would like to dethrone her and why Jazza remains a staunch supporter. Image Credits – Solidarity with Refugees, September 2015 by John Servante; Jeremy Corbyn at Stop the War, February 2007 by David Martyn Hunt; Queen Elizabeth, June 2006 by Michael Gwyther-Jones. Editing by the Right Dishonourable. After the debacle at the general election many were sceptical about pollsters’ ability to successfully predict elections – rather a drawback in the industries’ line of work. Yet the rise of hard leftist Jeremy Corbyn to the head of the Labour party is now being pointed to as vindication for the formerly vanquished pollsters, with YouGov claiming to have been at the centre of the consensus that expected the North Islington MP to win the leadership contest. YouGov’s breakthrough poll results were released on the July 21st, revealing that Corbyn stood at 43 percent of first preference voting, with that figure moving up to 53 percent by August 10th, later revised to 57 percent after Labour released details of the voter composition. In the event Corbyn ended up with 59.5 percent of first preferences, more than triple that of rivals Andy Burnham (19 percent) and Yvette Cooper (17 percent) and distant loser Liz Kendall (4.5 percent). Whether this bragging sees off the idea that “polling is broken”, to quote YouGov’s phrase, remains to be seen. The Labour leadership contest having drawn to a close, many of the candidates other than hard leftist Jeremy Corbyn have already half-conceded defeat, with the winner due to be announced sometime on Saturday. 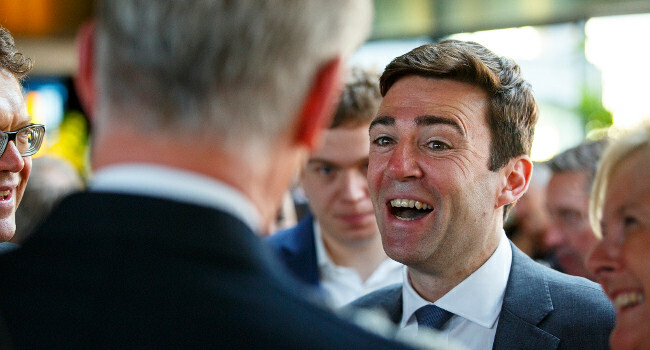 The footage was shot in an undercover sting by the Sun, which at least one cynic has suggested might be motivated by Burnham’s record standing up for victims’ families in the Hillsborough disaster. Even so, there is clearly now some distance between Corbyn’s rivals and the rest of the Labour party, whose ranks have swelled in the wake of the general election to some 550,000 members, affiliated supporters and registered supporters. All of which is awkward, given the safe bet is that Corbyn will be crowned on Saturday. 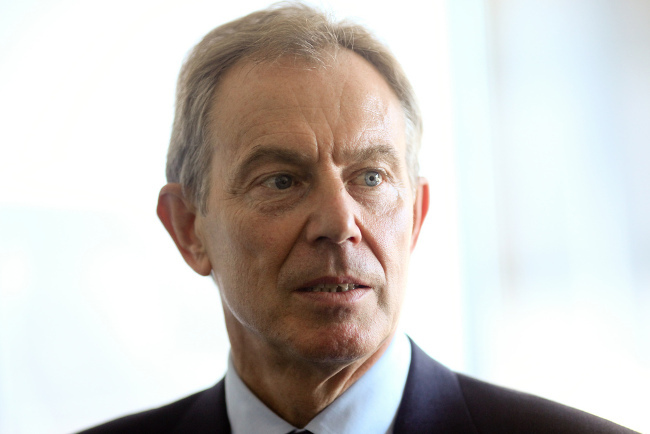 Former prime minister and hated “war criminal” Tony Blair is considered the best Labour leader for the last 30 years among Labour voters who both stuck with or abandoned the party at the general election in May, despite the expected leadership victory of hard leftist Jeremy Corbyn on Saturday. Voters who had picked Labour in 2010 told pollster Michael Ashcroft that Blair had done the best job of representing the whole country, attracting voters outside of Labour and offering competent leadership out of leaders since 1985, beating Ed Miliband, Gordon Brown, John Smith and Neil Kinnock. Smith, who died of a heart attack in May 1994, was however seen as a better representative of Labour’s values. Question: From what you remember or have heard, who would you say was the best leader of the Labour Party in the last 30 years? Note: “All voters” included results from poll of general UK adult populace, including Labour and non-Labour voters. The findings from online polls and focus groups taken throughout August and September suggest that the hunger for an heir to Blair in the Labour party remains, though the Labour leadership candidate with the best claim to that mantle, Liz Kendall, looks set to come last when the results are revealed this Saturday. Another person argued that New Labour would “look after the middle class and business too”, whilst a further one pointed out that some businessmen “work hard and struggle” – a view captured in the so-called “Essex Man” of “aspirational” working class voters which Blair worked so hard to court. One focus group member said that Blair did not seem like “some weird public schoolboy”, an ironic comment given that Blair boarded at Fettes College, a fee-paying school outside of Edinburgh that is among the most privileged in the country. Full details of Ashcroft’s research can be found on the pollster’s website. As the hours tick down to close of voting at noon on Thursday an unlikely victory anthem for Jeremy Corbyn’s Labour leadership campaign has surfaced on the Internet. What more preamble do you need?